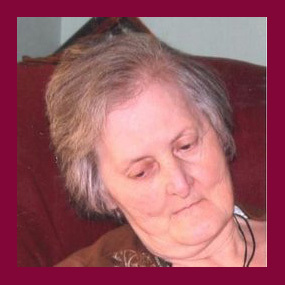 Barbara Jo Horvat, age 71, of Bryant, Arkansas, died Wednesday, May 11, 2011 at her home. She was born on January 21, 1940, in Pueblo, Colorado, to her parents, Joseph J. Horvat and Jewel E. Taylor. She was of the Catholic Faith. Survivors include her daughter, Kathy Kochanek (David) of Bryant, Arkansas; her father, Joseph J. Horvat, Sr.; two sisters, Kris Hansen and Sharon Hilty; one brother, Dr. Joseph J. Horvat, Jr.; one grandson, Troy A. Kochanek; one neice, Jody Beth Hubbard; four nephews Tony and Tom Hilty, Bo Blackmore and Tim Hansen; and numerous aunts, uncles and cousins. She was preceded in death by her mother and one sister, Paula Supmtner. A Rosary Service will be at 2:00pm on Saturday, May 14, 2011, at Griffin Leggett Forest Hills Funeral Home, 10200 Hwy 5 North, Alexander, AR (501) 455-1067. Burial will follow in Oklahoma at a later date.